Remember 30th President of the United States Calvin “Silent Cal” Coolidge from a few weeks back? Bet you didn’t expect to see his name pop up a second time on a site dedicated to rock and pop history. But here we are. Way back in 1911, banker and amateur musician Charles G. Dawes sat down at his piano one afternoon and whipped up a little tune for his own amusement. He later played it for a violinist friend who liked it enough to take it to a sheet music publisher, and Dawes was surprised a few weeks later to see a portrait of himself in a storefront window advertising his song for sale. Although officially titled “Melody In A Major,” the tune became known colloquially as “The Dawes Melody,” and many classical and jazz artists recorded their own interpretations over the ensuing decades. Songwriter Carl Sigman had considered writing lyrics for “The Dawes Melody” for the past couple of years, and with the death of Dawes in April, now seemed like a good time. He believed the music was in the public domain, so with copyright as no obstacle, he began arranging and updating. Turns out copyright was an obstacle — the Warner Bros Records publishing department owned the song — but when a Warner’s executive also had the bright idea of using “The Dawes Melody,” he serendipitously called Sigman (not knowing the writer was already in the middle of working on it) to pen the new version. 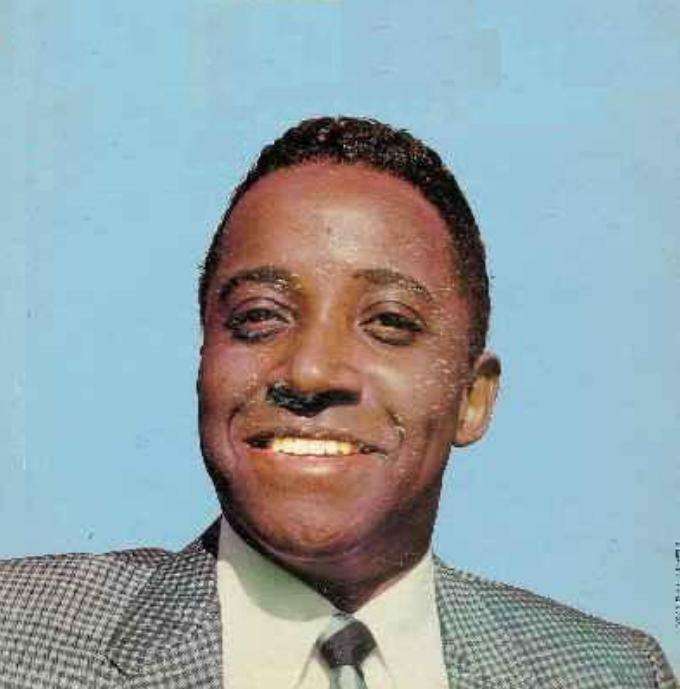 Now titled “It’s All In The Game,” a number of artists recorded the song in 1951 but Tommy Edwards alone managed to get into the Top 20 with his version. He scored a few more modest hits but by 1958, with only one more session required before his contract expired, Edwards found himself in danger of being dropped by his label. With little choice but to do what was asked of him, Edwards agreed to re-record “It’s All In The Game” using the new-fangled novelty known as stereophonic recording. He copied his own vocal style from earlier in the decade, but the backing music was updated to reflect the popular sound of the time, rock & roll and doo wop. 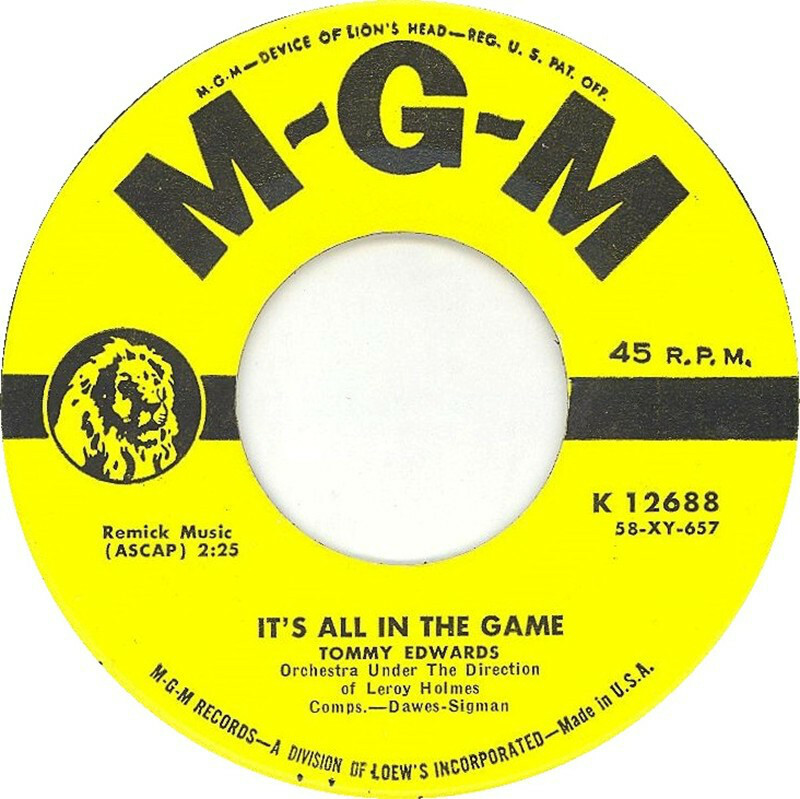 When released as a single in the summer of 1958, “It’s All In The Game” went on to top the charts in both the US and the UK, and Edwards got himself a new contract to go with his big hit. But what of the Calvin Coolidge connection? Or had you forgotten about Silent Cal? Well, Charles Dawes wasn’t only a banker and a writer of timeless melodies, he also served as Vice-President to Coolidge and won a Nobel peace prize. To date, he is the only Vice-President ever to have a hand in writing a #1 song. So get your checks and balances in order, and play the game with Tommy Edwards.